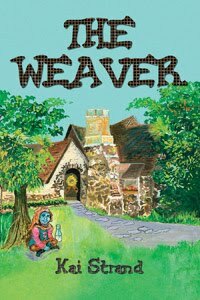 My first published novel was The Weaver, published by Guardian Angel Publishing, a publisher of books for children from 0 – 12. The majority of the books they publish are picture books, which require heavy illustrating, but my book was a middle grade novel – no illustrations required. Or so I thought. The publisher paired me with illustrator K.C. Snider for my cover art, because we live close to each other. K.C. invited me to her house to see her studio. Then we went to lunch and talked about my book and what I might want on the cover. Keep in mind this is my first book. I’ve never collaborated over a cover before. Never thought about what a cover should look like. Never expected to have input on the cover. And finally, was pretty star struck to be having lunch with an illustrator/established fine western artist. K.C. 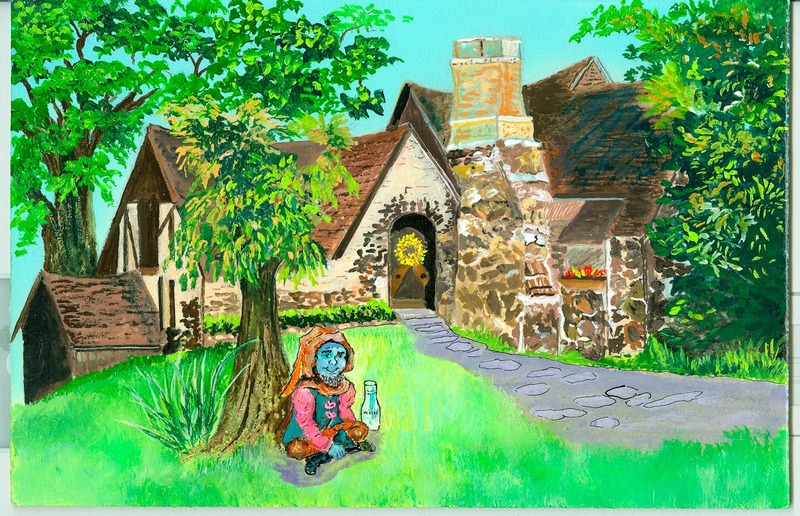 had just been in St. Louis visiting the publisher and when she was there the publisher mentioned that I wanted a house on the cover of my book. Turns out, my publisher used to be in real estate and sold a house in St. Louis that she thought fit with the old-timey, village-y feel in my book. So they went and took some photos of the house and K.C. shared them with me over lunch. She said there should be something child-like on the cover as well. I mentioned there was a gnome-elf character in the story and shared his physical description with her. A few weeks (maybe) later I got a mock up of the cover. 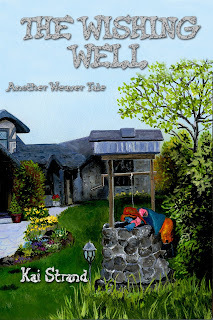 A couple years later my standalone novel became a series with the impending publication of The Wishing Well. Suddenly we needed to collaborate on another cover. When K.C. asked me if I had a house in mind I said, “As a matter of fact…” There is a house in my town that I’ve always loved because of its old timey feel. I knocked on the front door one day and asked, “Can your house be on my next book cover?” The owners were thrilled. For me personally, there are two really great aspects to working with an illustrator. 1) K.C. is a wonderful person and I respect the heck out of her talent. We’ve done many, many school visits and book signings together. I’m so happy to know her. 2) I own the original art to the first two covers. (Cripes! I really need to get the art to Lumpy!) It is really cool to have that hanging on my wall. I can’t even tell you how cool that is. The Weaver Tales books are available in ebook and in print. 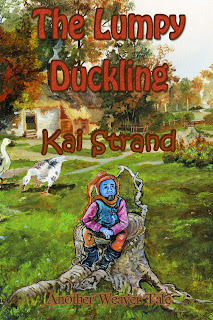 You can find links to all major retailers on my website, www.kaistrand.com. Do you have favorite illustrated cover art? What fun to work with an illustrator! That sounds like such a fun process, and the covers came out wonderfully! I want to be an illustrator. If I had the talent, I'd be one, for sure. At least you had the chance to work with one and that's wonderful. I'm right there with you. I really wish I had this skill! Fascinating how you ad K. C. worked together on the covers of the books. I love this series, the covers and the stories. Any more in the future? Thanks, Beverly. I do hope to add to the series. I've worked with K.C. She's amazing! I love the illustrations she did for Fish Detectives. Of course! I loved that adorable book. She is amazing and such a wonderful person. I love that the houses on the first two covers are actual homes. How cool! What a great experience for your first book cover. It's wonderful to see how you've been able to contribute to each of your covers. I've been really lucky to have a good amount of input. I admit sometimes I wish I didn't because I'm SO NOT the expert, but I love collaborating on projects and that's what it is. A wonderful collaboration.